LeAnn Boudwine has two sons in the military who she would support by sending care packages in the mail. 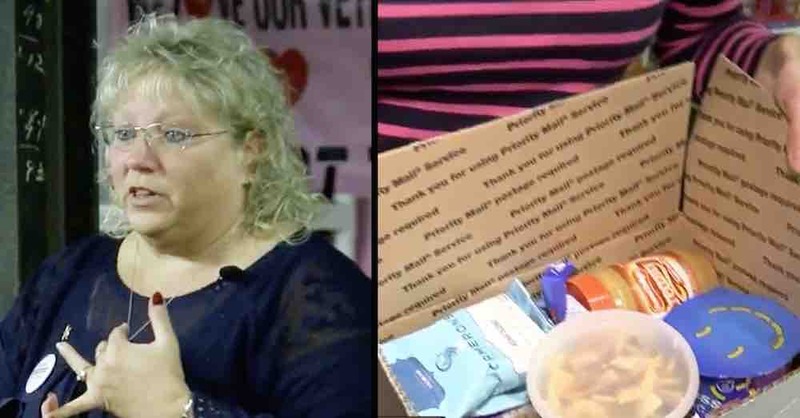 After receiving one of her gifts, however, LeAnn’s sons told her the heartbreaking truth: not everyone serving our country gets care packages. In fact, many of the men and women who serve don’t get anything at all. “A lot of soldiers are supporting their families at home and their families are not able to do this,” LeAnn said. That’s when LeAnn decided to get organized – she got volunteers, neighbors, families and their children, and even veterans to help pack items to send overseas. Now, the mother is ready to send out her 10,000th package – and the latest batch of boxes even have a Christmas theme. LeAnn has no intention of stopping at 10,000 boxes. In fact, she is still collecting donated items and money for shipping fees on her website. “I’ll do it for as long as I can,” she said.